unbelievably the most shameless deed in the world, no, in the universe…. The locals explained that the detainees were transferred by occupation forces to a detention center for interrogation. Al-Araqeeb is one of 35 “unrecognized” Bedouin villages. According to the Association for Civil Rights in Israel (ACRI), more than half of the approximately 160,000 Bedouins in the Negev reside in unrecognized villages. 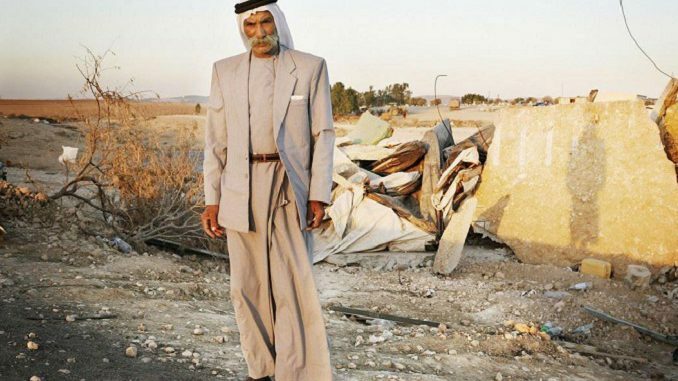 Be the first to comment on "Israel Demolishes Al-Araqeeb for 135th Time, Arrests Residents #Palestine #GroupPalestine #israelTerrorists #boycottIsrael"